Recently retired and former Sarasota County City Commissioner Joe Barbetta joins the Board of Directors for the Center for Architecture Sarasota (CFAS). The Center for Architecture Sarasota is proud to announce the Joseph A. Barbetta Scholarship to recognize his dedication and service to our community. The Joseph A. Barbetta Scholarship will provide financial assistance to the next generation of architects and designers of the built environment in the UF CityLab-Sarasota program. Part of CFAS’s many new programs, UF CityLab-Sarasota is a program in our community offered through the University of Florida School of Architecture, Master of Architecture Degree, scheduled to begin in August 2015. Chair of the Board for CFAS, Cynthia Peterson says that the scholarship can a make a difference on whether a talented future visionary will have the resources to attend UF CityLab-Sarasota. “Barbetta values education and the future of our built environment and this scholarship will address both of these issues for many years to come by educating the next generation of architects and designers who will be steering the direction of Sarasota.” Peterson’s hope is that these students will choose to stay in the community upon their graduation from the program. 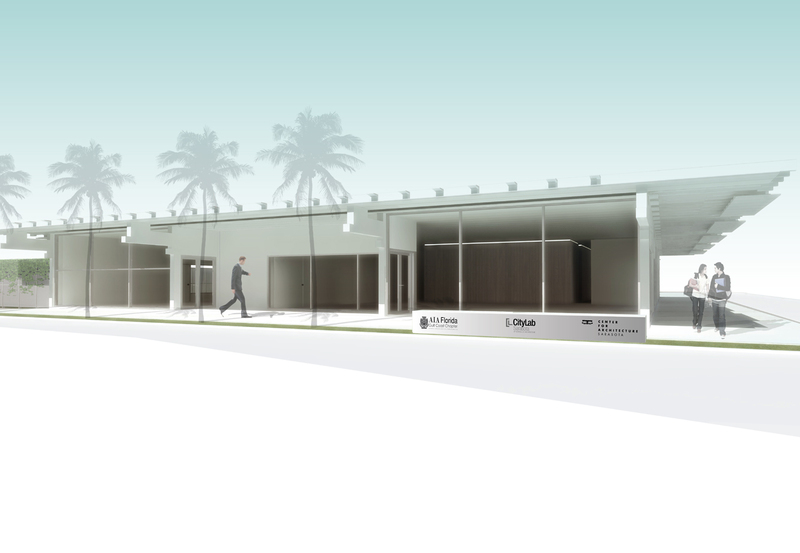 Architectural rendering of the Center for Architecture Sarasota, opening next year. Barbetta was first elected to the Sarasota County Commission in 2006, and elected Chairman of the Commission for 2010. An attorney, he is admitted to the New York and Florida Bar and also admitted to practice before the U.S. Supreme Court. Barbetta received a Bachelor of Science degree from Fordham University and earned a Doctor of Jurisprudence (JD) degree from Union University-Albany Law School in Albany, New York. He moved to Sarasota in 1983 and has since served the community in various roles, often focusing on planning and economic development. Funds for the Barbetta Scholarship are being collecting through CFAS under the Joseph A. Barbetta/Center For Architecture Sarasota Scholarship Fund. Visit www.cfas.org for more information. The Center for Architecture Sarasota is a 2014-2015 Story Project Partner with SRQ Media Group.